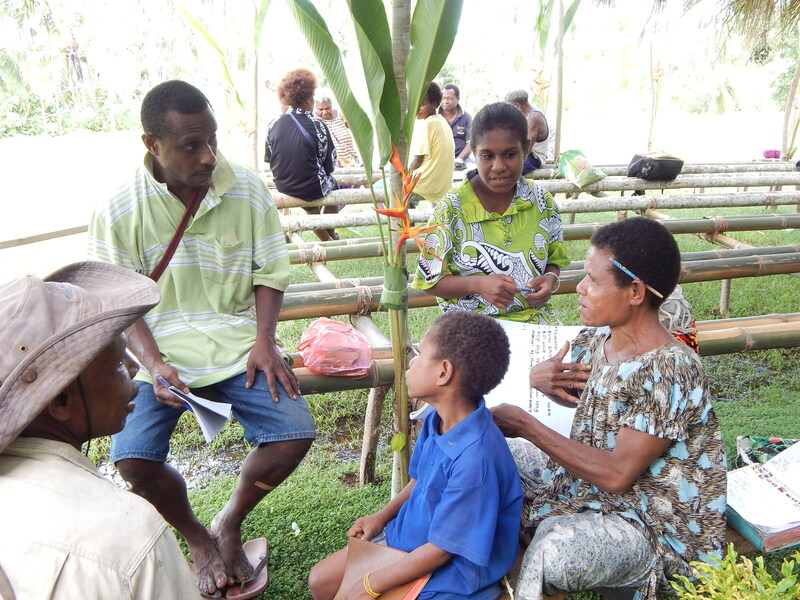 In many parts of Papua New Guinea, people have gathered in villages to attend Culture Meets Scripture workshops. Through drama, small group discussions, in depth research, and Bible study, they seek God’s truth regarding many traditional practices. Often it brings about changes in specific areas of their lives. 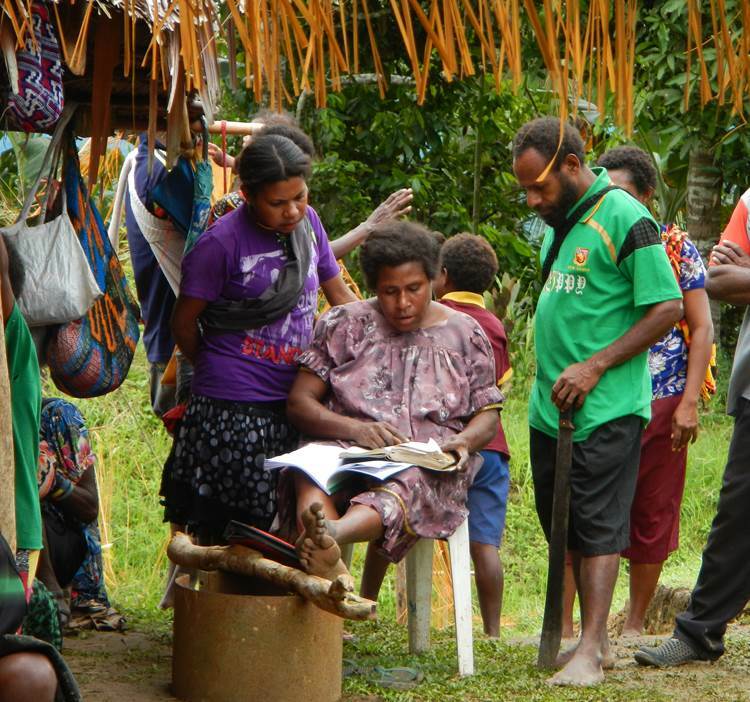 Following the workshop on an island in eastern PNG, the translator for that group testified, “We were encouraged to see particular attention given to the traditional practice of compelling a newly-widowed woman to stop eating many types of nicer food for a period of time, along with other ways she is expected to live uncomfortably.” From examining the Scriptures, the people themselves concluded, “Nothing in Scripture agrees with how we treat our widows.” Now they plan to treat widows with more compassion and dignity. In another place, a teen girl died unexpectedly shortly after a Culture Meets Scripture workshop had been held in her village. Rather than engaging in the usual culturally accepted practices of blaming people and acquiring wealth following the death of an individual, her parents chose to live out the biblical principles they had just learned. The way they handled the death made a positive impact on others in their community. Understanding Scripture more clearly has helped many Papua New Guineans to live a life that is more filled with peace and hope. Like the group that learned about the bird, many leave with a greater trust in God, singing His praises as they go. The Tobiana family has been involved with Bible translation for the past half a century. In the late 1970’s Tobiana Ao’ye began working with Ed and Loretta Loving to translate the Awa New Testament of the Eastern Highlands. Together they complete the first draft. 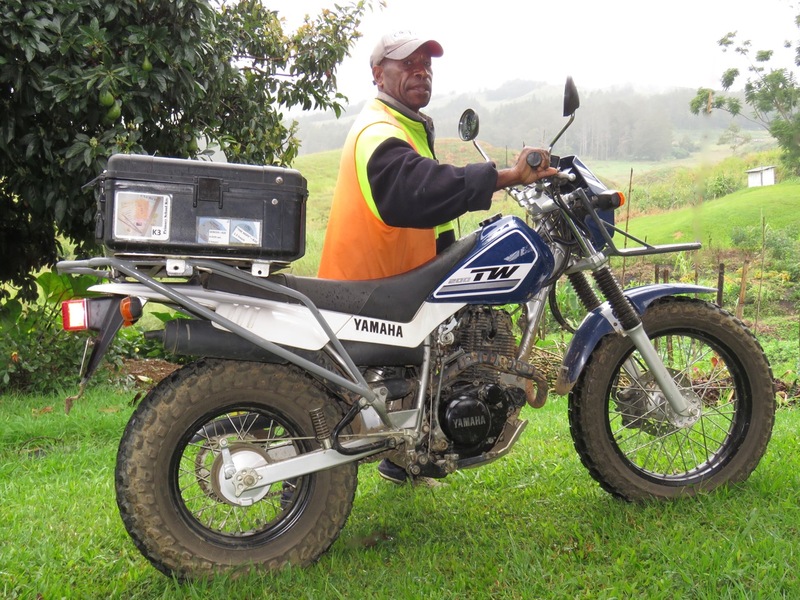 When he became employed in Construction and Maintenance in Ukarumpa, his wife Nino took on the role of helping the Lovings revise the New Testament and it was dedicated in 1997. Ken serves SIL through working at the member store, where he now is the assistant manager. He also participated in church engagement teams, speaking about the importance of Bible translation and encouraging the PNG churches to catch the vision of using Scriptures in the heart language. Ken’s wife, Grace, serves as the secretary at the primary campus of Ukarumpa International School. Emos used his skills in audio production to record the entire Awa New Testament. After the Awa Audibible was completed in 2010, he helped with distribution, encouraging his people to listen to God’s Word. He also recorded Scripture and dubbed Bible videos in several other languages. 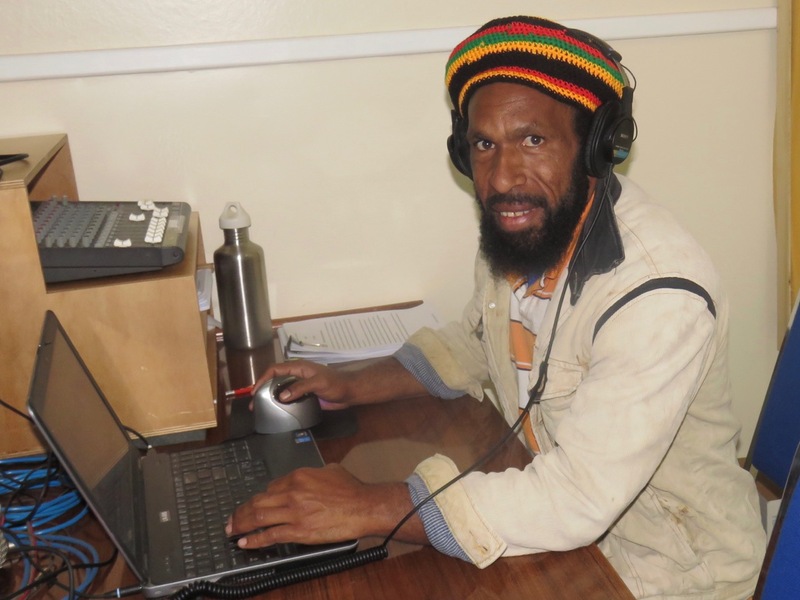 Today he works as part of a newly formed team recording the AIDS Awareness DVD in the many minority languages in PNG. He is also helping to develop Scripture apps for cell phones and tablets. After hours, he drives the clinic van. His wife Stephanie serves as the secretary in the director’s office. Between them, Ken and Emos have three young children. Perhaps one day they, too, will play a part in getting God’s Word into the hands and hearts of the people of Papua New Guinea. 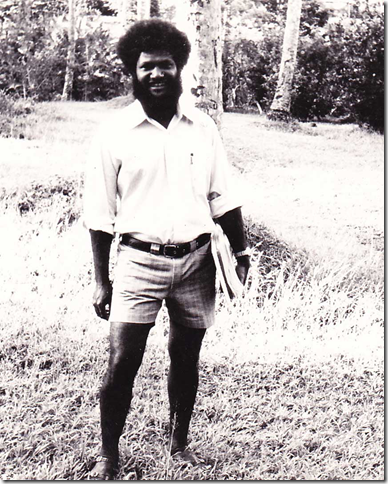 Growing up on Manus Island, Samuel Bolaubeu heard the Bible read in English and in the trade language of Tok Pisin. But he never heard it read in Nyindrou because no Bible existed in that language. When Samuel became a young man, he earned a teaching certificate and went to another province to teach school. There he learned that some people called linguists could translate the words of the Bible into languages with no Scripture, even into languages that currently had no alphabet. Samuel began to dream that something like that might become possible for his own people. The year was 1970. At that time he started praying for someone to translate the Scriptures into his heart language, Nyindrou. He continued to pray every day. Finally, after 10 years of faithfully praying and waiting, four couples came to Manus Province to train the local people to translate God’s Word for themselves. One of those couples, Bill and Lenore Martin, came to Samuel’s language group. But the going was tough and the linguists experienced many challenges that prevented them from continuing their work in the Manus area. Within 10 years, three of the couples left. The Martins also considered leaving the work but, thanks to Samuel’s prayers, they persevered. They trained many Nyindrou people, among whom was Charles Kowak, who took up the main translator role on the Nyindrou translation team. After 22 years the book was finished. In July 2002, the day came for the great celebration of the arrival of God’s Word in Nyindrou. When the boxes of New Testaments were opened, the very first copy was handed to Samuel. This book was the fruit of 32 years of faithful prayers. In all that time Samuel had never lost his vision of having God’s Word in his language. 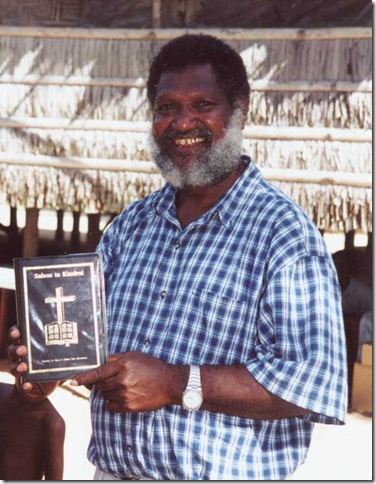 Today, Nyindrou is one of only three languages in Manus Province that have a completed New Testament. But interest is growing. 44 people from throughout the province gathered for a Translator’s Training Course in August 2016. They represented 15 languages and 3 dialects. Today most of them are translating God’s Word into their own languages. Samuel and others are still faithfully praying for the task of Bible translation. 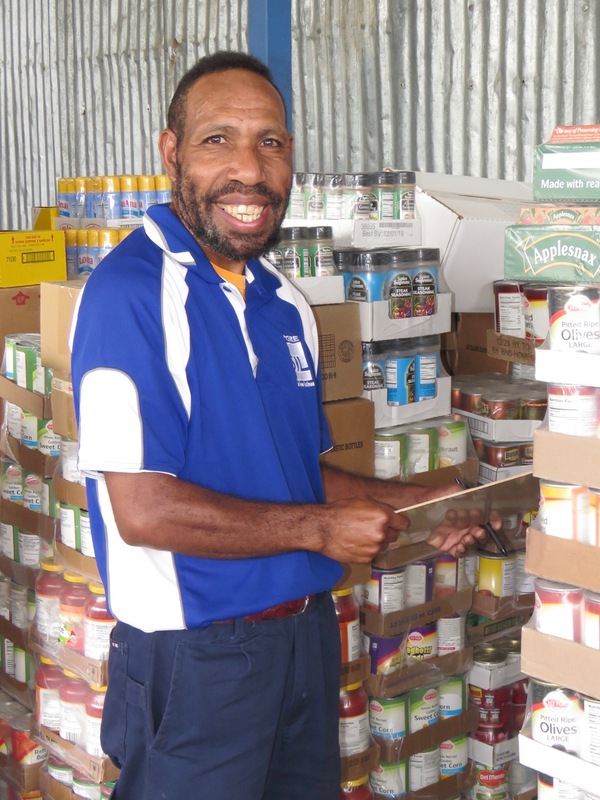 He believes by faith that one day God’s Word will be available in all 29 languages in Manus. Please ask the Lord to raise up more people who will faithfully pray for language groups which need the Scriptures, even if it takes decades. Perhaps you will be one of them. As Omar* walked into the large shopping mall in Port Moresby, the capital of PNG, he noticed people crowded around a booth. Curious, he walked over to find out what was happening. What he saw was a man downloading something onto his tablet, and another downloading onto his smart phone. To one side, a person was handing an Asian lady a DVD. 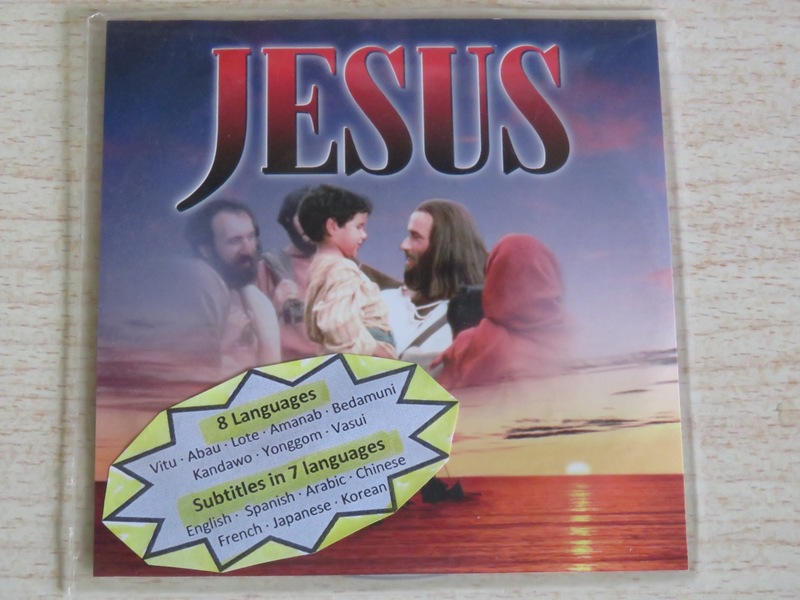 When Omar recognized the name “Jesus,” on the cover of the DVD, his heart leapt. Cautiously he approached Tim Husk, one of the representatives at the booth. Quietly he asked, “Could we go apart by ourselves and talk?” Off to one side of the busy shopping complex, Omar told Tim his story of leaving the middle east and spending several months detained in a refugee camp on Manus Island, in the far northern part of PNG. While there, he had heard the good news of the gospel and had committed his life to following Jesus. He had only recently been released and arrived in Port Moresby. Tim reassured him, “In Papua New Guinea you don’t need to be afraid to tell people you are a Christian.” Tim returned to the booth and gave Omar a gift: A DVD of the Jesus Film in multiple languages, including the language he had learned as a young child. Tim also introduced Omar to a Christian who lived nearby who could keep in touch with him. When Omar left the booth, he was lost in the wonder of owning the story of Jesus in his own language, and knowing that he had new friends who would continue to encourage him in his faith. He determined to follow Tim’s advice to connect with a local church and find others who share his love for Jesus. An Audibible is a hand held, solar powered device which contains an audio recording of local language Scriptures. It is easy to transport, easy to recharge, and most importantly, easy to understand. Franky, the Kamano Kafe motorbike salesman, visited a non-Christian truck driver who was very sick and no longer able to work. Franky sold him an Audibible with Scripture in his language recorded on it. When Franky visited him again several weeks later, the truck driver told him, “The talk on this Audibible has helped me. I am now a child of God. God wins and I win with him now.” A few weeks later, the man died. His family still listens to the Audibible and is very thankful for Franky’s timely visit. Young men living in village huts, truck drivers on the highways, engineers in gold mines, all of these and many more have their lives transformed when they hear God’s Word speaking to them in the language their hearts understand best.